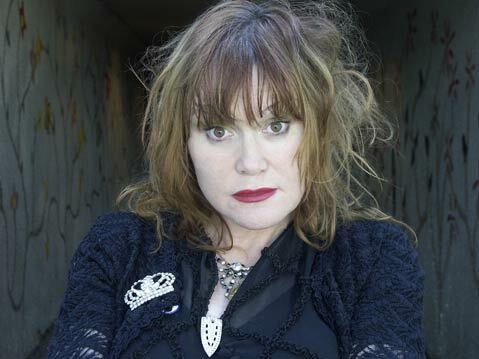 At age 53, singer, songwriter, artist, and poet Exene Cervenka remains one of the coolest women in rock. As one-fourth of the seminal punk group X, Cervenka and then-husband/bandmate John Doe laid the groundwork for what would become one of the most important musical movements California has ever seen. With legendary folk icon Dave Alvin and Doe, Cervenka’s band The Knitters helped set the mold for modern day alt-country music. And as a visual artist and solo composer, Cervenka has again and again proved herself a force to be reckoned with-with or without a backing band. In addition to continued touring and writing with both X and The Knitters, Cervenka’s “anything” has encompassed everything from solo albums (from 1989’s Old Wives’ Tales to this year’s Somewhere Gone) to spoken word performances to books to mixed-media art exhibits in some of the country’s more notable contemporary art galleries. For Somewhere Gone, the songstress has crafted an album that’s sweet, soft, twangy, and meticulously under-produced, making for a collection of folk songs that speaks to its listeners intimately and assuredly. Lying smack in the middle of Somewhere’s bluesy country and lush folk is the traditional Appalachia-esque “The Willow Tree,” which strips Cervenka’s girlish vocals down to their most raw while acting as a testament to her exceptionally wide musical range. 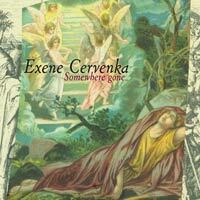 Past influences aside, Somewhere Gone is very much a reflection of Cervenka’s life when the album was written. Following a three-decade stint in Los Angeles, Cervenka and her now-estranged third husband Jason Edge (actor Viggo Mortensen was hubby number two) moved to a farm in rural Missouri, where Somewhere was both written and recorded. In addition to her Left Coast homecoming, 2009 has marked a number of milestones, both good and bad, for Cervenka. Musically, she’s reteamed with Doe, Zoom, and Bonebreak for a number of new X songs, which may find a home on a new album-the band’s first since 1993’s Hey Zeus!-sometime soon. Cervenka also made headlines this summer with her public announcement of her diagnosis with multiple sclerosis. Exene Cervenka plays Velvet Jones (423 State St.) this Sunday, November 15, at 8 p.m. Call 965-8676 or visit ticketweb.com for info.